I keep thinking of things I could blog about, things I want to blog about, things I want to say, but I run into several problems. First one being that I can’t be arsed to sit down and try to logically sound things out into any sort of coherent post. Second one being that I can’t remember the last time I had enough time to sit down and get out everything I wanted to say. I start a post, and save the draft to finish later and then never get back to it. By that point it’s all old news and people wonder what rock I’ve been hiding under that I just wrote a blog post about the federal budget that was released 4 weeks ago. It’s funny though, because I have plenty of time to play level 165 of Candy Crush Saga approximately 392 times before passing it. Go figure. I also don’t want to feel like all I’m doing is blogging every time I have a gripe about something. And I’ve had a lot of gripes lately. There’s a lot of things I just don’t get. There’s a lot of things that worry me. And the more I think about them, to blog about them, the more annoyed I get, so I find it easier to just ignore it all. Like politics. I’m irritated by our political system. By our country’s leaders who are no better than the school yard bullies – calling each other names, harassing each other, pointing out each others weaknesses. If my child talked about someone else, the way our politicians talk about each other, he’d have his Wii rights taken away for a month. It’s not good enough, from people who should be old enough to know better. And we allow it to carry on! Our media even fuels it! Like feminism. I am all for equality of women. 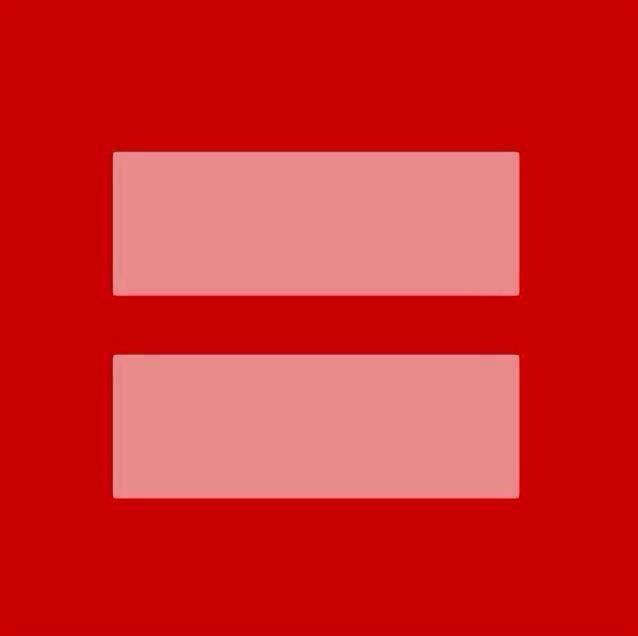 Equal rights, equal pay, equal everything. But some people out there go way OTT with their feminist rants and raves and it just makes me roll my eyes. It’s those feminists that give women a bad name! It’s like any extremist I suppose. Not all Muslims are terrorists, and all that. Like being sick. I’m sick of feeling like I’ve swallowed razor blades, of not being able to breathe out of my left nostril, of feeling exhausted just from getting up to go to the toilet. Bloody winter! I do like the cooler days and nights, but I don’t like the winter germs that come with it. Like kids birthday parties. O.M.G. A nice little tennis party, with a sausage sizzle, I thought. It will be easy, I thought. All I have to do is buy sausage and make a cake, I thought. I thought wrong. Stay tuned for next week’s Birthday Party instalment. I can’t even impair myself with alcohol as a couple of parents are doing the drop-and-go thing which means I’m responsible for their kids! That’s a whole other post all together! Like my 5 day holiday still being over a week away. I know it will be here (and over!) before I know it, but right now it just seems SO far away! I’m looking forward to doing nothing. I think it will make me appreciate how hectic life is. When I realize how boring it is sitting around without technology, surely I’ll jump back into my life with gusto. Or we’ll sell our worldly possessions and become gypsies. It could happen. Then I might not have so much to say. Monday: 5 am wake up call for work, 6:30-2:30. Rush to pick up Nick and a friend’s son from school at 3, hoping to God I’ll get a park within a 2km radius of the school. Take the boys home, feed them afternoon tea. An hour or so to myself while they entertain each other before said friend arrives to pick up her son. Then change into workout gear and head out to training the second hubby walks in the door from work. 5:30-6:30 is training for me, 6:30-7:30 is training for hubby. When I get home I put Nick to bed (who has been shuttled from home to training and home again) and make dinner for 7:45-8:00, when hubby is home from training. Crash into bed and thank God Tuesday is my day off. Tuesday: Sleep in. Get Nick to school by 8:45. Do whatever it is that needs doing. Sometimes its laundry, sometimes (but rarely) I have nothing to do and can have a coffee and read IBOT posts as part of my #teamIBOT commitment at my leisure. I can do whatever I want until 2:15 when I go to pick up Nick and the same friend from yesterday. Last week I spent all of Tuesday, except 30 minutes when I had a quick lunch with my mum and sister, running around looking for Batman stuff for Nick’s party. Wednesday: Drop Nick off at school by 8:45 and rush off to whichever one of the two tennis courts my team is playing at for the day. Play tennis – 4 sets for me, 8 sets total for the day, which usually finishes anywhere between 1 and 2 pm. Rush home, chuck dinner in the slow cooker, shower, dress, pick Nick up at 3 and take him to his tennis lesson at 3:30. Home by 4:15, feed Nick dinner, change for training. Training is from 6-7 for me, 7-8 for Mike. Dinner is at 8:15-8:30, when Mike gets home. Crash in bed and dread the 5 am alarm. Thursday: 5 am wake up call for work, 6:30-2. Head straight to school, get a good parking spot and wait for Nick to get out at 3. This is the one afternoon we don’t have to rush off anywhere, though we usually end up going somewhere or doing something. Last week we went to the shops to get his hair cut. There’s a pilates class from 6-7 I like to go to when I can. This could become another regular activity, even though adding activities is not what I need to be doing! Friday: Leisurely wake up, drop Nick at school by 8:45, and I have an hour and a half before I have to leave for work. There’s usually housework involved here, or a quick errand or two. Work is 10:30-6:00, which means by the time I get home, we eat, then it’s time for Nick to get ready for bed. Thankfully hubby cooks dinner Friday nights so that’s one less thing to worry about. Saturday: Typically the only thing that is consistent on a Saturday is Nick’s soccer from 9:30-10:20. Two weeks we also had a birthday party and I went on a photo shoot with a photographer friend. Last weekend mum had Nick and we went to dinner and to see Guy Sebastian! I also try to do pilates in the morning, from 7-8. Sunday: Again, usually pretty cruisy, except that I work from 2-6. Two weeks ago I did The Color Run, then we took Nick to another birthday party, then I went to work. Some weekends are like that and are more hectic than others. So that is what a snapshot of my week looks like. It’s no wonder there’s little time for anything else in there. Why is it when I’m not busy I complain b/c life is boring, but with all this going on, I complain because it’s too hectic? I think life is only as hectic as we want to make it. There is plenty in there I could drop if I really wanted or needed more time. 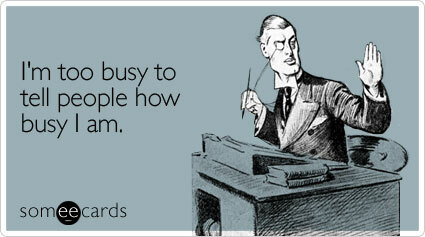 Unfortunately “work” is not one of those! 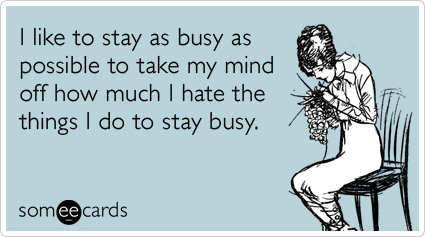 Are you always finding yourself “busy”? I don’t deny that it should be a basic human right to be able to walk down any street at any time of day, on our own, and make it home safely. Sadly, I don’t think it is a reality. And as much as I’d like to tell my daughter, if I had one, that it is ok to walk alone in Surfers, at 3 am, is that the reality? Not really. What if could teach women that they can do or be whatever or whoever they want, but we also taught them to think twice, to question situations, that they don’t always have to be strong and independent. What if we taught them that there is nothing weak or wrong with having a friend walk you home? Because there may come a time that her actions and decisions in a certain situation save her life. You can’t control what others do, but you can control what you do. Check out this video. Proof that people only want rights and laws when it suits them. Food for thought.